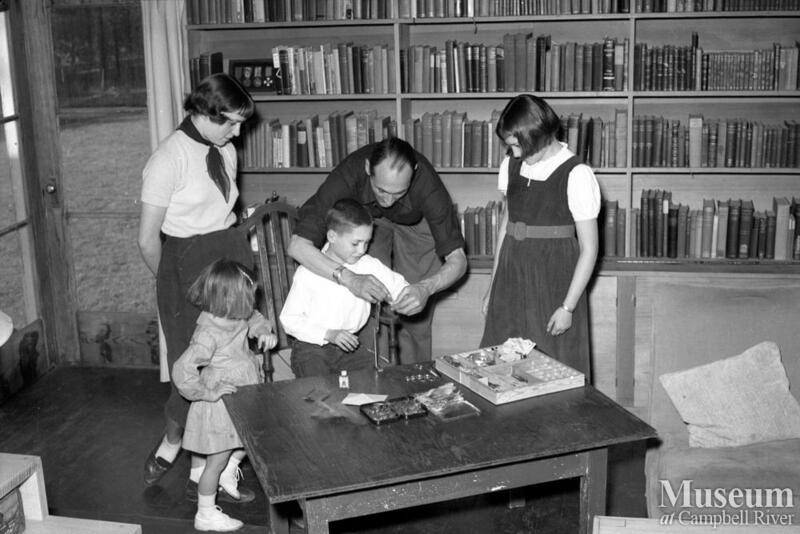 Roderick Haig-Brown with his children in the study. 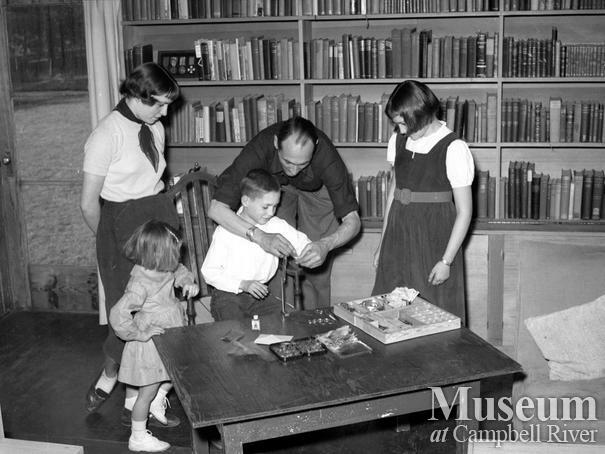 Roderick helps his son, Alan, with tying a fly. His daughters, Valerie (back left), Celia (front left), and Mary (right), look on.